MOTIVATED SELLER.! 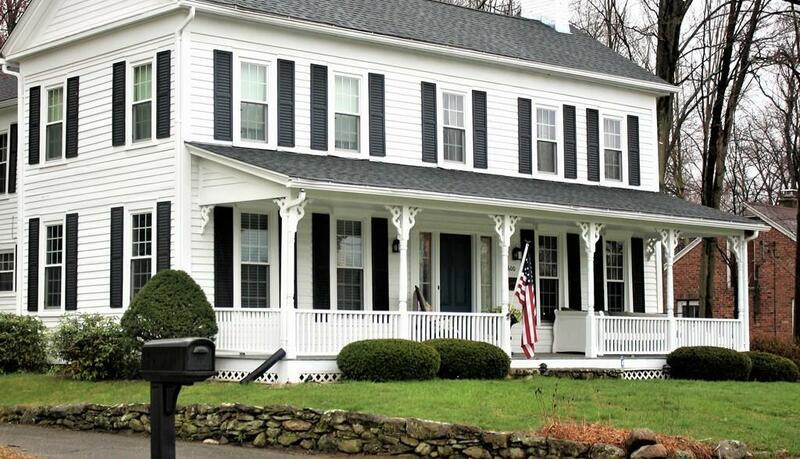 Charming, well constructed, 19th Century Home w/ historic look outside & old meets new inside. The artistry and quality in this home has stood the test of time. Minutes away from town amenities, including under a mile away from Haviland Pond & highway access. Quiet & peaceful on 1.4 acres of land. 1st fl. offers a mud rm., 1/2 bath w/ laundry, country kitchen, pantry, dining rm. leading thru French drs. to den w/ peaked ceiling & a 2nd set of french drs. to study w/ hidden built in shelving & frplc. & liv. rm. also w/ beautiful frplc. Front & rear staircases to 2nd fl. w/ 2 master bed rms. w/ full baths & frplcs., 2 more bed rms. & another full bath. Full front porch for sitting & relaxing. 2 car garage w/ workshop area and bonus room with electricity. Two paved driveways on each side of home, fenced yard & walking distance to Randall's Farm. WELCOME HOME to a truly one of kind home with plenty of room for entertaining. Be a part of Ludlow's history. Listing courtesy of Mary Paradysz of Keller Williams Realty. Disclosures Occasional Seepage in Basement From Old Cellar Window To Be Replaced Prior To Closing. Due To The Amount Of Rain This Year Basement Has Become Wet. New Sump Pump installed And Waiting For Dry Days To Repair Problem Areas. Listing provided courtesy of Mary Paradysz of Keller Williams Realty.